SATAN BEETLE! 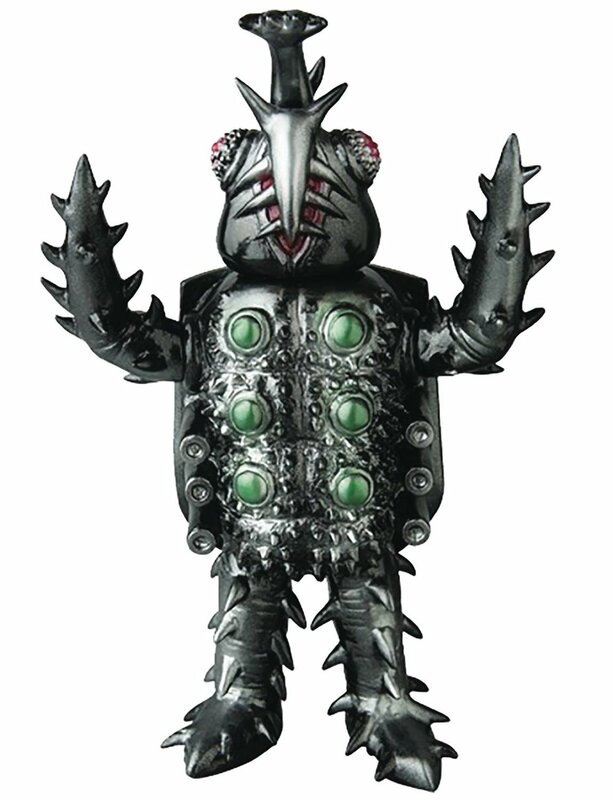 This Ultraman Leo antagonist is often mistaken for Megalon, but he is his own bad guy beetle, and at $100 shipped, he can be yours too! The Marmit Black & Yellow Burning Godzilla. One of several Marmit Burning Godzillas we'll be getting, he's also one of the few still available at $85 shipped. Godzilla'54 by JR Rampage! This is one of the few original pieces in the GVW line up. We've still got a few available for $160 Shipped! GVW Godzilla 68, or...69...or 71...0r 72? Look! Those are all the same suit from DESTROY ALL MONSTERS, so call it whichever you want. We still have a couple available and its $195 shipped. GVW GODZILLA'71! One of the more popular preorders we've had. We recently reopened this one for preorders, and have six still available at $80 Shipped. AND now, we get in the figures we currently have capped pre-orders on. Some of these have been capped since their initial offering last year, and unfortunately for those who might ask, they likely aren't to uncap at this point...Why Update then? For the people who DID order them, Jerk! We're being told that both of these guys are indeed coming on that 7/11 medicom load as well. 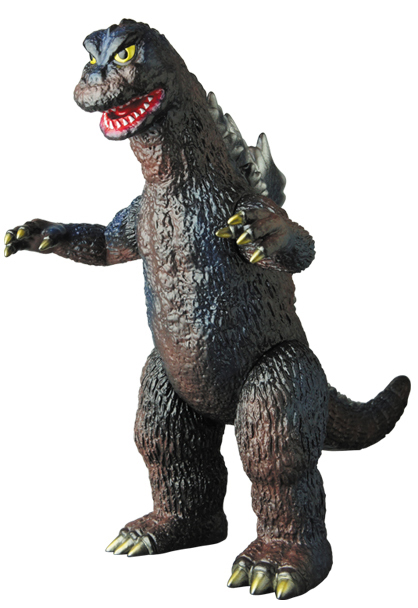 The standard sized Marmit Burning Godzilla was an Toho cinemas exclusive in Japan, and the Giant was a Crowncrest exclusive in Japan. Now, July 11th is also three days before G-Fest XXV. We're working to get this shipment a few days earlier, so that we can process preorders and bring any left overs to G-fest. If you've preordered any of this stuff, expect an email around July 4th, when we can confirm that these are en route. As always, make sure to bookmark our blog here, and also follow us on social media (there's buttons at the bottom of the site for are various pages...).